Last week, we featured a tuna dish from the Italian region. Now our journey of the taste buds is moving us farther east to the land of the rising sun. 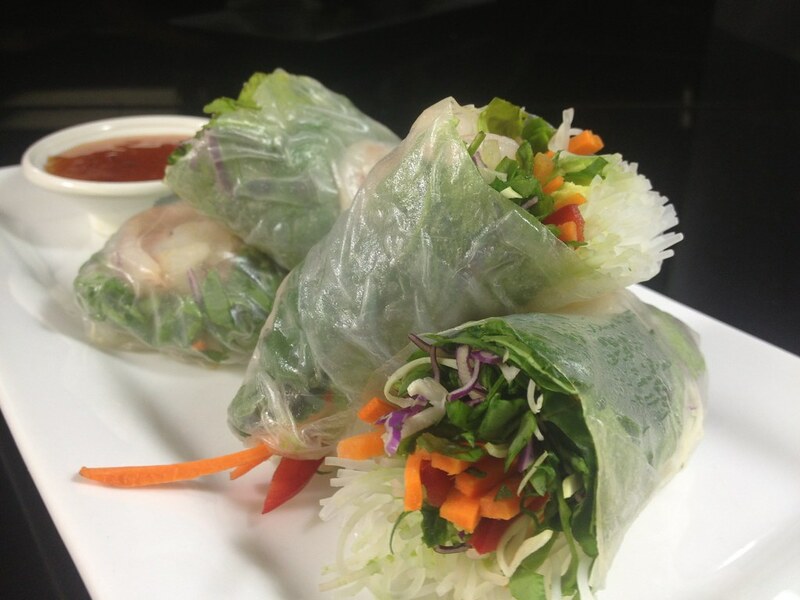 This week, your palate can experience a genuine shrimp spring roll. We take fresh shrimp on top of a mix of napa cabbage, rice noodles, carrots, scallions, snap peas, mint, and cilantro with a sriracha ponzu sauce all wrapped up in rice paper. This light dish is a crisp and refreshing take on the otherwise heavy and fried appetizers seen around our area. While most of us are familiar with the spicy concoction of sriracha, many people are unfamiliar with ponzu. It is a citrus-based sauce, similar to soy sauce, with a slightly tart finish at the end. This blends well with the infamous sweet and spicy Asian cuisine. Although we offer the shrimp spring rolls on the appetizer menu, they could also make the perfect main dish for those you who are hungry and looking for a light, yet satisfying meal. So allow us to take you on this world tour of your taste buds. And who knows where we'll journey to next week!